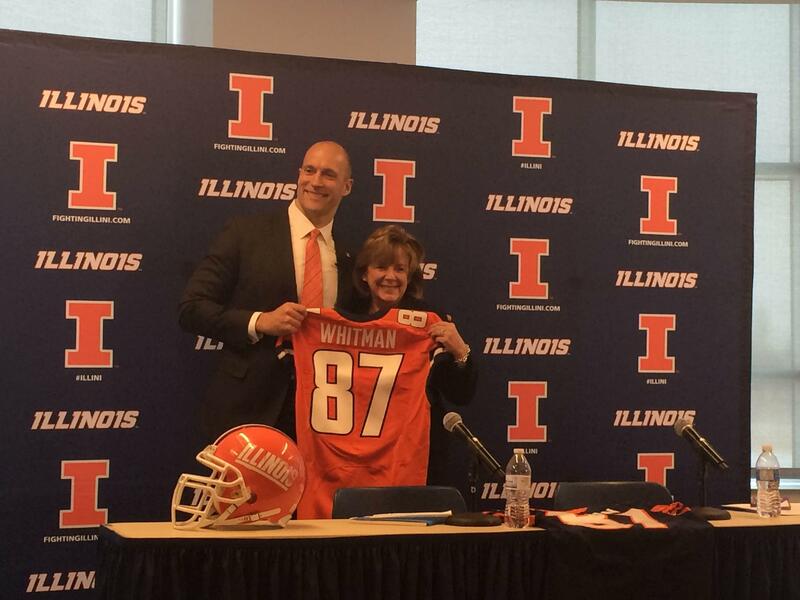 Illinois' new athletic director Josh Whitman and Interim Chancellor Barbara Wilson pose for photos after an introductory press conference announcing Whitman as the next Illinois athletic director. Check out Joey Gelman’s radio story about new Athletic Director Josh Whitman here. A teary eyed Rick Whitman watched on as his son’s dreams were coming true. Cameras flashed, alumni clapped, and Josh Whitman smiled when he was introduced as the 14th athletic director of the University of Illinois. The 37-year-old Whitman has been waiting for this moment since he was 18. Josh Whitman explained it further during his opening comments. I was taken back. Thanks to what must have been a media services blunder, I sat in the front row to watch Whitman speak. His passion was evident. Within minutes, it hit me. 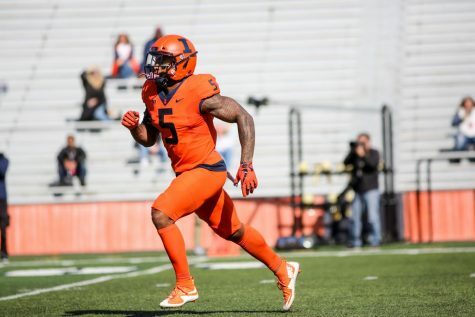 Illinois just got its guy. I’ve whined and moaned along with Illini nation over this past year. I’ve called for someone to cast a vision and for someone to take action. I wanted someone to revitalize the program. Someone needed to bring energy, enthusiasm, and most of all — hope — to a program that desperately needs it. 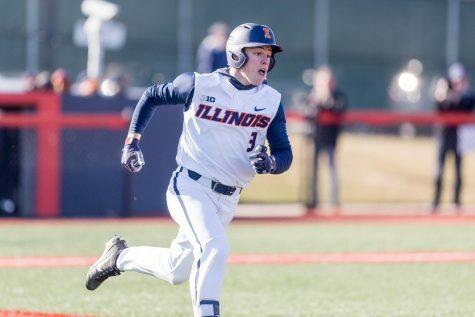 You got your guy, Illini nation. Whitman understands what this program needs. Before his first official day in office, he managed to do something that no one in the athletic department has been able to do for months: get people excited. Look, I get it. He hasn’t done anything yet. But, he absolutely aced that press conference. I was fully prepared to catch the mic before it rolled off the stage — if it hadn’t been on a stand. 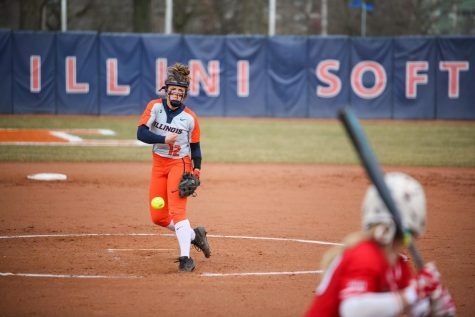 As he cast a vision of returning Illinois to prominence, he had the big-money donors, many prominent alumni and the rest of the athletic department drooling. He had the orange and blue-clad crowd in the palm of his hand. His mother, sporting an orange scarf, smiled as her son spoke. “It was really, really special. He’s a very special guy,” Mary Beth Whitman said while fighting back tears. “And people have started to realize that. It was a genuine, honest moment. The apple doesn’t fall far from the tree. This was impressive. I’ll leave it at that. He’s an honest man. Cozy up next to the fireplace, it’s story time. 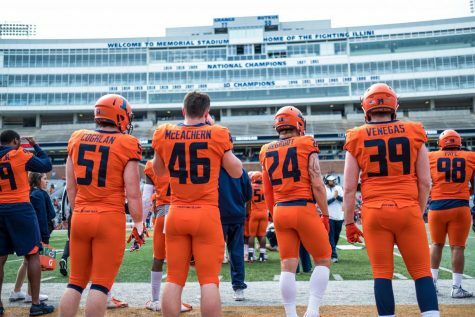 In a recent lecture in Dr. Michael Raycraft’s sports management course, he told our class a story about Whitman from his days of playing football for the Fighting Illini. It was torrentially downpouring as Dr. Raycraft drove southbound on 4th Street. He saw Whitman walking through the rain, completely drenched, on his way to class. Raycraft pulled his vehicle to the side of the road and yelled at Whitman to get in the car. He explained to Dr. Raycraft that he wasn’t allowed to — it was considered to be receiving improper benefits. Are you kidding me? That’s an honest man. This is the type of guy you want at the helm of an athletic department. Don’t underestimate the importance of having someone who understands the culture. Whitman’s presser was filled with stories. One of my favorites came from a memory from the summer after his junior year of high school. He was in Champaign for the first time. He knows what it’s like to play on that field. 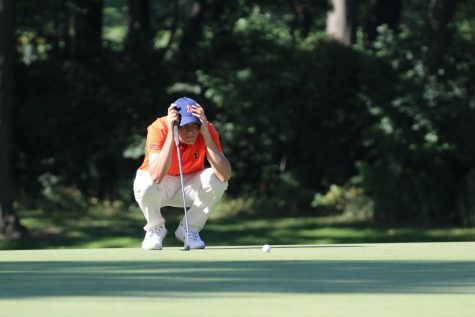 He understands what it means to be an Illini. As the presser rolled along, more and more stories came out. His first date with his now-wife Hope was to the “Braggin’ Rights” game against Missouri. After that, he took her to Champaign so she could see the place that meant so much to him. They took selfies with the Alma Mater statue and snuck her into Memorial Stadium. Whitman said in the press conference that the first serious goal he ever set was during his freshman year of high school. He decided that he didn’t want his parents to have to pay for his college education. He achieved just that through his athletic scholarship. 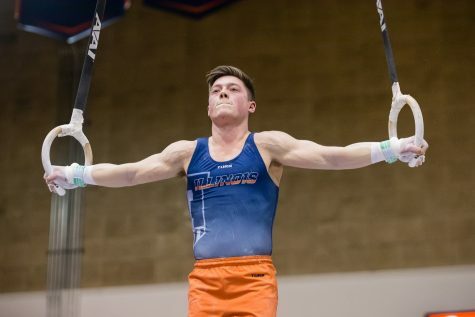 Whitman also had the highest grade point average amongst all Illini athletes his sophomore, junior, and senior years. He was also a two-time first-team academic All-American. What a nerd. He also played four years in the NFL before earning a law-degree from Illinois. Should I keep listing his accomplishments? The point is this: When Josh Whitman sets a goal, he accomplishes it. “We will win,” he said in his introductory presser. I have no doubt that this is true. Interim Chancellor Barbara Wilson said that she was looking for a candidate who could walk on water — and she felt that Josh Whitman was that guy. When she said that this morning, Whitman brushed it off, and tried to make a joke out of it. He said he’s not Illinois’ savior. He’s just one small piece to a much bigger puzzle. I appreciated his humility. And while I wouldn’t call him Illinois’ savior — I believe that he can turn this program around. He faces tremendous challenges. I don’t need to list them out. 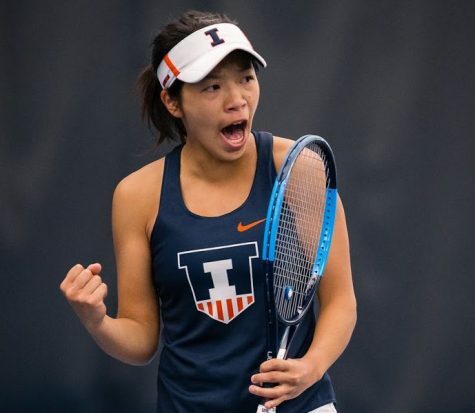 Whitman can — and I think he will — right the Illini ship. Be patient, it won’t happen overnight. But, he’s established his vision. 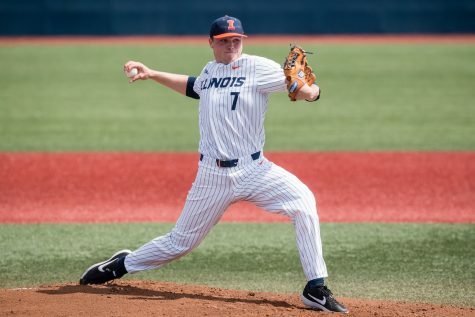 Josh Whitman wants to return Illini athletics to the prominence of years past. He will. But, as he said today, he needs your help. Buy in, Illinois.